Starting a career in static timing analysis domain, and now actively working on an opensource implementation fllow of RISC-V architecture, has been a journey. For last couple of months, I guess from around March this year, I was hooked to RISC-V buzz which was all over my Linkedin, my messages. Nevertheless, after I finished one, it was time to get hooked to new topic, opensource RISC-V instruction set architecture. When looking at it from a business perspective, it was the coolest shift you could ever see in the VLSI and semi-conductor industry. But this perspective is not what my students were looking for. They (and me too) were looking forward to understanding a bit more about this architecture. 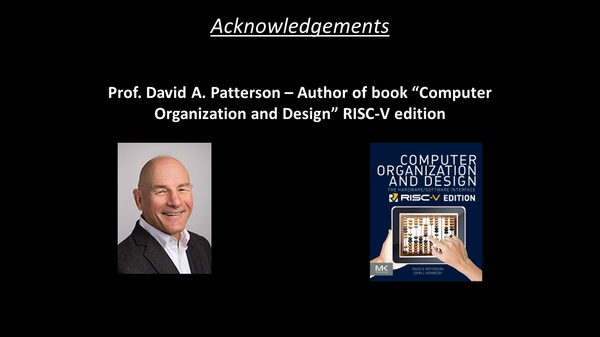 That shift in attitude helped, and I got to interact with the pioneers of RISC-V – Prof. David Patterson. All of you, who have done a bit of research about RISC-V, must have known him. For others, David Patterson is the Pardee Professor of Computer Science, Emeritus at the University of California at Berkeley, which he joined after graduating from UCLA in 1977. That’s when I got a grip of RISC-V, like any other student. This was just like how kitchens in McDonalds were built. Customer outside, can see right through the window inside the kitchen and notice how their food is being cooked. 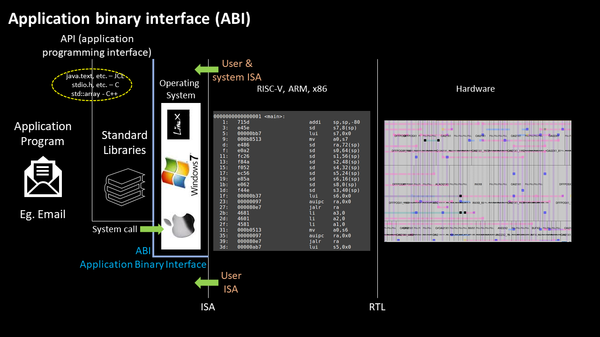 In above image, if you move from right (Hardware) to Left (application program), and then coming from left, if you stop at middle (RISC-V ISA), that’s when you start thinking about this architecture from all angles, like sta, drc, congestion, clock skew, io latency, static and dynamic power, IR and many more. When we started working on opensource RISC-V implementation flow with our community, our intent was to tap the interface, make sure that first our community understood RISC-V architecture and start thinking to implement it from a hardware or chip layout point of view. Once we introduced RISC-V architecture in this format to our community, we got so much positive response from industry people, it made us realize that there were many ‘people’ like us who were looking for something like this.